Hafa adai. Welcome to Barrigada! The beautiful village of Barrigada is a land-locked village located near the center of the island. It stretches along the cliff line overlooking the Harmon Industrial Park to Mt. Barrigada. Upscale homes have been developed on Mt. Barrigada along an area known as Barrigada Heights. This area overlooks the ocean and much of the island, providing a great panoramic view. At Barrigada’s southern border lies the village of Mongmong-Toto-Maite and to the east is the village of Mangilao. Since Barrigada is centrally located, you can expect it to take you roughly twenty minutes to drive to either Andersen Air Force Base in Yigo or the U.S. Naval Station in Santa Rita. Plus, it will only take you about ten minutes to drive to downtown Tamuning or to the Micronesian Mall in Dededo. Three of Guam’s main roadways/routes run through the village, making it easier and more convenient for you to get around. Barrigada is a very popular residential neighborhood. Its central location provides you the convenience of being very close to everything the island has to offer, saving you time and money. Along the major roadways that run through the village, you are supplied with a variety of commercial enterprises that are ready to assist your residential and commercial needs. The village is largely residential and is fairly quiet, the further you are from these major roadways/routes running through the village. Living in Barrigada, you can also enjoy a rural feel attributed to the long winding roads that make their way through the hills, valleys, dense vegetation, and wetlands. Barrigada Heights is an area of Barrigada located on the southern facing slope of Mt Barrigada. 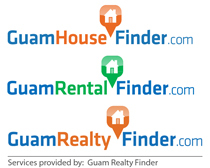 This area is known for being one the most affluent neighborhoods on the island of Guam. Barrigada Heights provides upscale homes with breath taking views overlooking the island’s airport in Tiyan, the interiors of Guam, and the Philippine Sea. Here you will find a quiet neighborhood with beautiful single story and multi-story homes, manicured lawns, swimming pools, and well lit sidewalks. No matter what your preferred lifestyle may be, there are plenty of conveniences around almost every corner. The village of Barrigada is home to the A.B. Won Pat Guam International Airport and the U.S. Post Office’s Main Facility. If you are in the military, the Guam National Guard Readiness Facility is also located in the heart of Barrigada. This National Guard Readiness Facility is equipped with a gas station and a mini mart for guard personnel and their dependents. There are three public schools and one private school in the village. You will also find that bus stops are located throughout the village serving the public schools in Barrigada, its neighboring villages, and the Department of Defense schools (DoDea). In the Tiyan area you are provided with various sporting fields to play soccer, football, softball, and even paintball. You can also go walking and jogging here without worrying about safety from vehicles on the roads. Many of the island’s residents utilize this area for sports and recreation. This is a popular sporting area and is also the location of the island’s seasonal carnival. The carnival provides fun for the entire family with games, activities, live music, and local cuisine. At night, Barrigada Heights is a great location to view the island’s city lights. The village of Barrigada certainly has some fun things to do and interesting places to see. Barrigada has many great attributes. During the day, it’s a bustling town, but at night, it’s a quiet retreat. Plus, there are many conveniences for your enjoyment. We are sure you will not be disappointed should you call Barrigada Guam home. There is a little something here for everyone.